CHICAGO (Feb. 6, 2014) - Volkswagen of America, Inc. and Andretti Sports Marketing today announced the details of its 2014 rallycross program at the Chicago Auto Show. Volkswagen will partner with Andretti Autosport to form the Volkswagen Andretti Rallycross team, running two cars in the series for drivers Tanner Foust and Scott Speed. The team will initially compete this season with modified Polo rally cars, built on the chassis that won the 2013 World Rally Championship for drivers and manufacturers, and will switch during the season to the fearsome GRC Beetle. 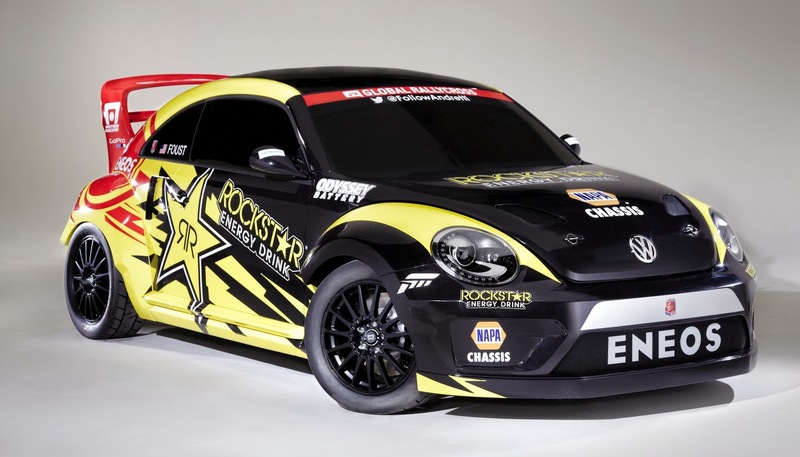 This all-wheel-drive rallycross car is the ultimate expression of the third-generation Beetle and will feature more than 600 horsepower from its turbocharged and direct-injection EA888 TSI® engine. Rallycross is the fastest growing form of motorsports in the U.S., attracting big crowds at venues across the country as well as live TV coverage. Cars are pitted against each other and the clock in a series of heats on a closed course that's usually a mixture of dirt and pavement, with a 70-foot jump. 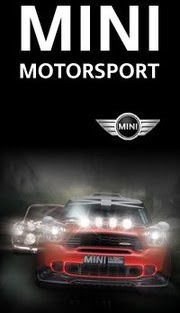 The action is fast, it's intense, and is hugely appealing to a crossover audience of auto and live action sports fans. "Red Bull Global Rallycross is the perfect form of motor sports for a youthful, exuberant, and growing brand in the U.S. market," said Michael Horn, President and CEO, Volkswagen Group of America. "We're excited to partner with Andretti Autosport, one of the great names in American motor sports, and delighted that we will be running the iconic Beetle in the series." Michael Andretti, CEO of Andretti Autosport, added: "I'm thrilled to be entering the series, and especially happy about teaming with Volkswagen. We are excited about our driver lineup of Tanner [Foust] and Scott [Speed]; I believe we have the best drivers in the series and will be a top contender." 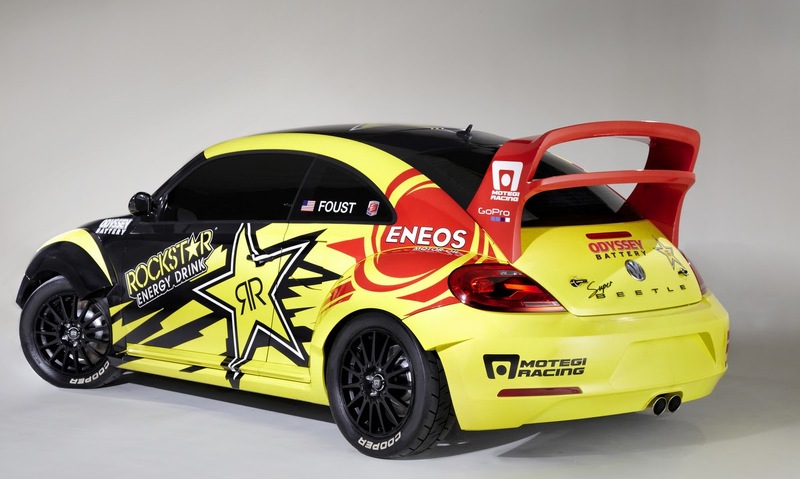 Tanner Foust, GRC champion in 2011 and 2012 and runner-up in 2013, will drive the Rockstar Energy Drink Beetle. Foust is also widely recognized for hosting the U.S. version of Top Gear, for his rally driving skills, and for his stunt driving-he holds records for distance jumping and looping the loop in a car. Scott Speed will be racing the 7UP entry for the Volkswagen Andretti Rallycross team. As well as being a standout in the 2013 GRC Series, winning two races in and finishing fifth overall, Speed has competed at the very pinnacle of motorsports, driving Formula 1 for Scuderia Toro Rosso in 2006 and 2007. He also competed in NASCAR between 2008 and 2013.